Prefab houses are durable yet cost-effective, which makes them the preferred choice for many in the Mocksville, NC area. If you are looking for a way to build the home of your dreams in Mocksville, NC at a cost you can afford, you may want to consider looking into prefab houses. A prefab house is technically any house that has sections that are built in a factory and then transported to the home building site, where the house is assembled. Prefab houses have some advantages over traditionally built homes. For one thing, because prefab houses are built in a factory, you don’t have to worry about delays or damage due to weather conditions. Additionally, prefab houses are durable yet cost-effective, which makes them the preferred choice for many in the Mocksville area. Prefab houses come in many different styles and sizes. Quite often, they are designed in a manner that is more energy-efficient and environmentally friendly. If you are serious about creating the home of your dreams for a minimal cost, prefab houses are the perfect solution. Not only are they created piece by piece in a factory, but they are also held to the same building codes as traditional homes, which means you end up paying less for a home that is just as safe and dependable. 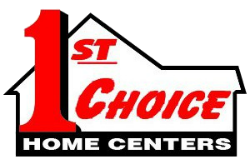 At 1st Choice Home Centers, we offer a number of prefab houses to choose from. Our goal is to help you create the home you’ve always dreamed of. With our vast experience, we can help you design your home so that it will meet your needs, your style and your desires. Let us help make your dreams of home ownership a reality!